‘Looking at the City of Brocade after the shower, I see red flowers in blossom and with dewdrops sparkling on the leaves’. 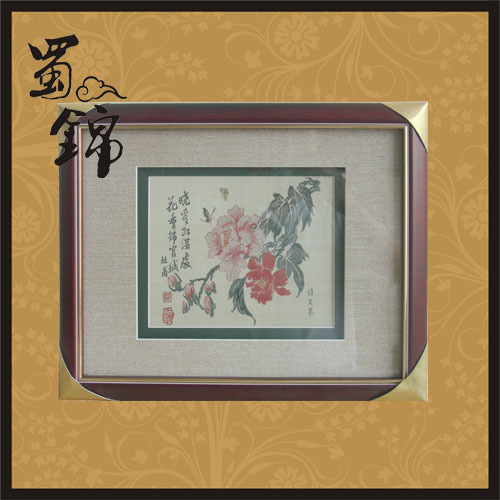 These two lines quoted from the great poet Du Fu have best described Chengdu , a city with beautiful flowers like in brocade. Yet, among thousands of flowers, Chengdu likes Hibiscus most and got its name ‘the City of Hibiscus ’. The maker uses Hibiscus in full blossom to reflect the prosperity of Chengdu , and uses two dancing butterflies and the buds to demonstrate the harmony, inclusion and vigor of this famous cultural and historical city. 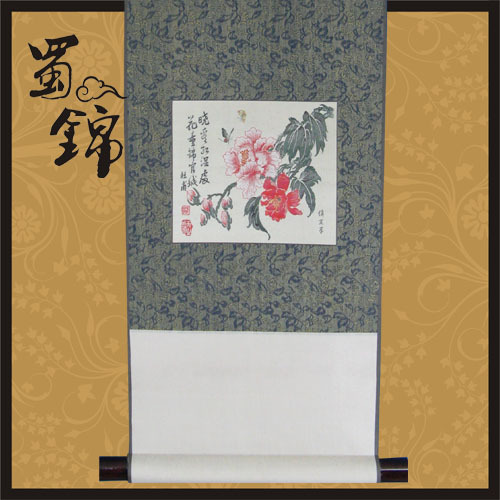 Using the technique of Sichuan Brocade to express the above innovative idea will bring further enjoyment to people.